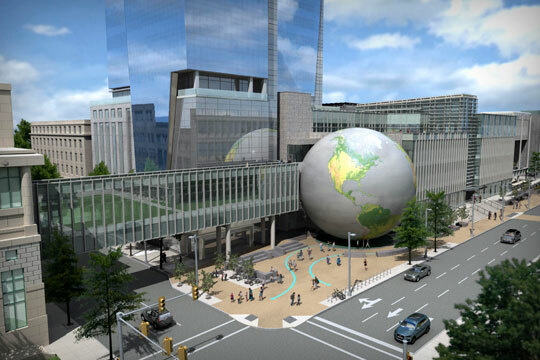 As part of the Green Square Complex in downtown Raleigh, NC, the Nature Research Center has been a distinctive project for North State Steel. 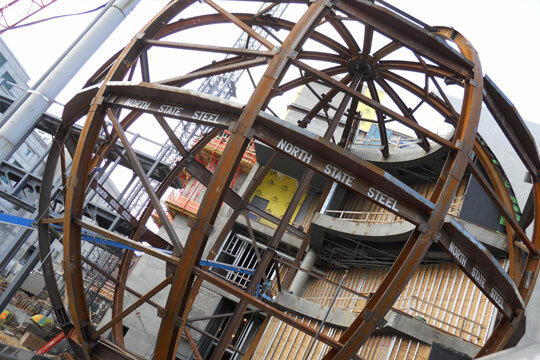 With its pedestrian bridges and what is being referred to as the Daily Planet, the Nature Research project has been an opportunity to fabricate steel in unusual sizes and shapes. 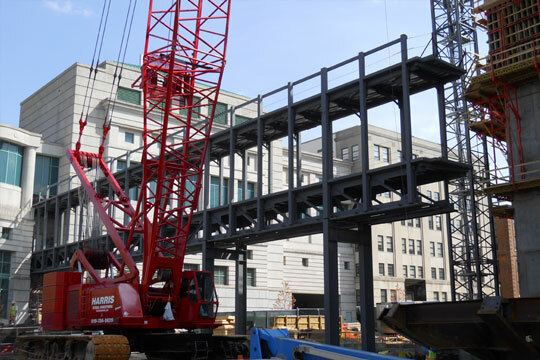 Two pedestrian bridges, one spanning 90 feet to the newly constructed Department of Natural Resources Building towering 45 feet above McDowell Street and one spanning 145 feet to the existing North Carolina Museum of Natural Sciences Building, connect to the Nature Research Building to form the Green Square Complex. 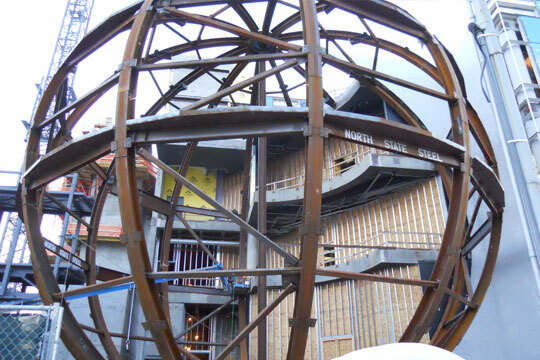 Included in the Nature Research Building is the Daily Planet, which is a 68 foot diameter sphere that will house an elliptical projection system. 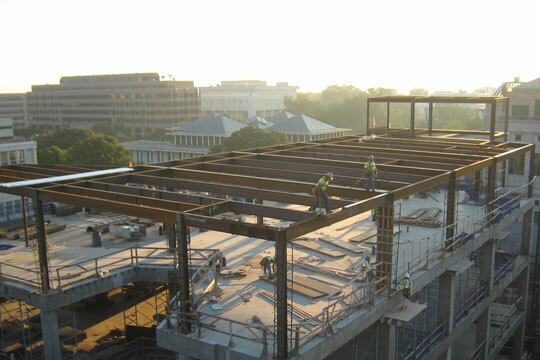 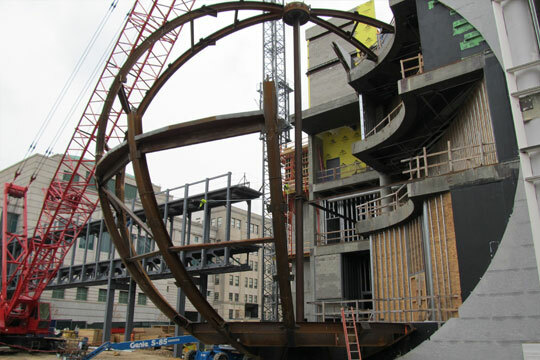 This project includes standard wide flange shapes rolled to a 32 foot radius; Compound rolled tube steel, a 32,000 pound plate girder, AESS Tube Steel Atrium with concrete filled columns, as well as the usual structural steel components. 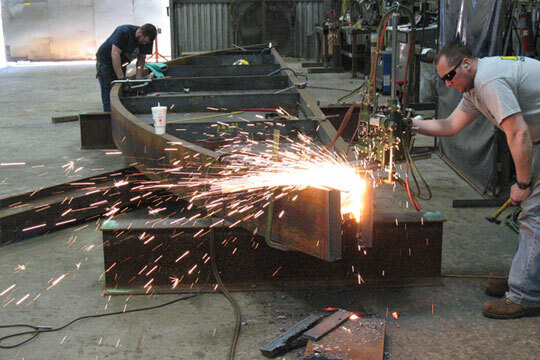 ©2019 North State Steel Inc. All Rights Reserved.